At Deep River Family & Cosmetic Dentistry, High Point dentist Dr. Cassidy Bray has made it a point to offer a range of services to make sure that you and your entire family have access to high quality, comprehensive dental care in a comfortable office with a homey, welcoming feel. 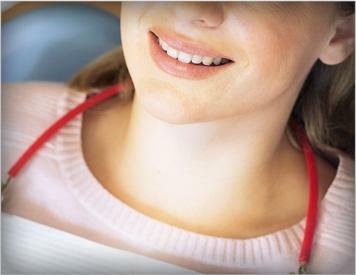 Whether your needs are as simple as routine examinations and cleanings or as complex as a full-mouth restoration, we are happy to create a customized treatment plan that will help you meet your healthcare goals. You’ve heard it before: An ounce of prevention is worth a pound of cure. This statement is particularly true when it comes to your dental health. Brushing, flossing, and regular examinations and cleanings recommended by our family dentist office are all key pieces to keeping your teeth and gums healthy and looking their best. Our dental hygienists perform comprehensive and comfortable cleanings, and Dr. Bray provides a free oral cancer screening with your regular examination. We’ll discuss how to create and commit to an excellent home-care routine and work with you to prevent gum disease, a condition that affects approximately 50% of all adults in the U.S. Additionally, digital x-rays and intra-oral imagery help us to accurately diagnose any developing conditions early, when conservative and simple treatments are still effective. We also understand that dental anxieties and phobias are common, and we will work with you to help you get the excellent dental care you need and deserve despite your fears. Dr. Bray understands your worries at a personal level. When he was younger, he had a bad dental experience and developed anxiety. One of his reasons for becoming a dentist was to help other people in that situation overcome their fears and make dental care a regular part of their lives once again. Whether you're looking for a dentist for adults or dentist for children, you have a personal welcome from our family dentists. Are your dental needs more complex? Do you need some extra help restoring your teeth and gums to health? Dr. Bray as a good dentist should, will always work with you to understand your needs and goals for teeth problems and restorative dentistry treatments in order to create an individualized plan to improve the function and aesthetics of your smile. We offer dental crowns and bridges, Invisalign, dentures, fillings, cosmetic dentistry veneers, and dental implants, which dramatically improve the overall look and health of your teeth. For more immediate needs such has root canal procedures, we offer same-day emergency care to relieve your pain and provide treatment. Dr. Bray takes additional steps to make all of your treatment as pain-free as possible. Sometimes the overall health of your mouth is good, but the appearance of your teeth leaves something to be desired. Since your smile is often the first thing that people notice when they meet you, you may be concerned about the impression you are making. Cosmetic dental service procedures like teeth whitening and veneers can transform your smile, giving you the bright, straight, white teeth you’ve always wanted, camera ready for a special day – or any day. Whether you are a current patient or looking for a new dentist or family cosmetic dental clinic in the High Point area, we encourage you to call today and schedule an appointment with Dr. Bray. Our team is looking forward to meeting you and getting to know you!